Corporate picnics can be a wonderful way to celebrate events with your co-workers, managers & clients. 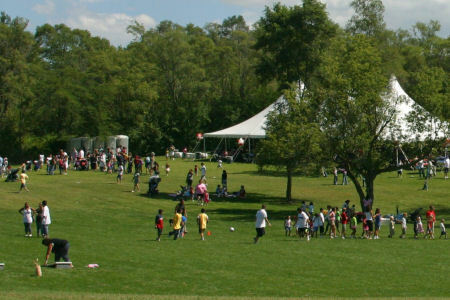 If you need the best in Chicago corporate picnic planning, you’ve come to the right place! If you are planning a picnic for your company, Clowning Around & Celebration Authority can provide delicious and affordable options. The size and type of your picnic will help determine the best menu options for the event. There is usually a difference in what adults in your company want to eat verses what your family likes. Either way, we can help you determine what kind of menu to prepare. If there will be kids at the picnic, we can come up with some great kid-friendly treats to help make sure they are satisfied. In addition to great picnic catering, Clowning Around & Celebration Authority can also help you find great entertainment for adults and kids alike. From DJ’s to comedians to live music, our picnic planners can find the perfect fit for your audience! Clowning Around & Celebration Authority knows how to make your corporate picnic a success. We can take your corporate event to the next level. Don’t forget that Clowning Around & Celebration Authority provides top-quality catering services to the entire Chicagoland area, so don’t hesitate to contact us if you live outside the city. Call us today and let us be your picnic planner of choice! Our plentiful BBQs and coordination capabilities include everything necessary to lift the complete burden from your back with everything down to the plates! Offering numerous menu selections, and able to provide custom menus as well, we’ll match your needs at a price that’s sensible. Add a little fun and entertainment along with some mouthwatering food items and you will have the makings of an amazingly memorable picnic! If you savor the taste of carnival fun foods, we also have these tempting treats to make your picnic a knock-out success. When your guests are ready for fun, they’ll love our fabulous amusements, games and entertainment, too! Call on us for everything or just what you need to complete your plans. Our picnic expertise doesn’t end with just the catering menu. We can provide all types of fun and entertainment to keep your guests happy and smiling. 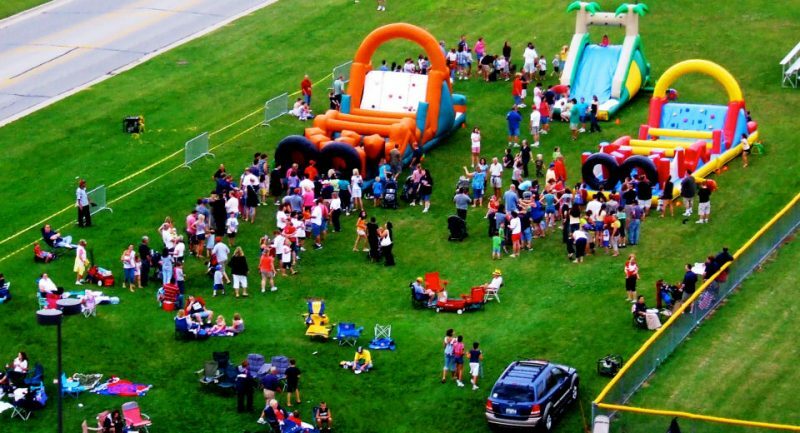 Bounce houses, inflatable slides, carnival games, fun kiddie rides, and a variety of entertainers are just the tip of the iceberg. Call on us to provide everything you need for a most memorable picnic that your guests will never forget! 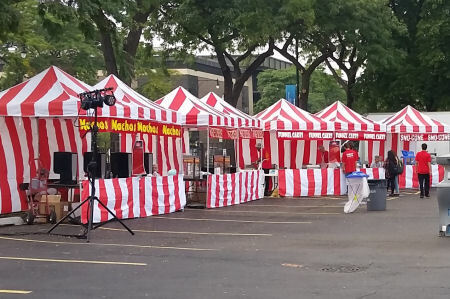 If you’re preparing your own food or have already selected a food vendor, we’ll be happy to work alongside them to provide the entertainment and fun that adds excitement to your picnic. We’ve happily worked with dozens of Chicagoland’s picnic caterers to provide unforgettable picnic productions with every guest taking home a full tummy, a happy smile and wonderful memories!